Matt King (George Clooney) is a lawyer and landowner living in Hawaii. When his wife is critically injured in a powerboat accident, Matt is forced to reassess his life, his choices and priorities. He also has to come to terms with some devastating news about his marriage. His wife has been having an affair. The accident catapults him from his role as "back-up parent" to the person who has to be there for his two daughters. Alexander Payne, the director of The Descendants, has a back catalogue of films that filled me with confidence - I was going to like this movie. After all, Payne has directed films including Sideways, About Schmidt and Election. However, I wasn’t prepared for how much I was going to like The Descendants. This film really crept up on me and then wouldn’t let me go. Meanwhile, as Matt considers whether to sell his family’s stunning plot of land, The Descendants also allows us to see the paradise, the beauty and the responsibility that we have to preserve our environment for future generations. This is perhaps my favourite George Clooney performance. He is just superb in this film. Funny, lost, angry and heartbroken. I so enjoyed him in this role. Of course, many films follow a central character on a journey so that they can find the way home but, despite the dangers of retreading a tired path, The Descendants manages to add something fresh and new. Matt’s two daughters are wonderful. Both Shailene Woodley (playing Alexandra) and Amara Miller (as Scottie) give nuanced and moving performances. Indeed, there is no character in this film that doesn’t feel real and that, I think, is why The Descendants is so enjoyable. Lovely to see Shailene Woodley in an early pre Divergent / Fault In Our Stars performance. 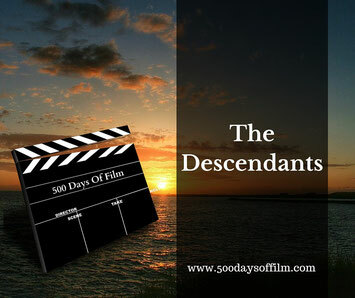 Have you seen The Descendants? Did you enjoy this film? Whatever your thoughts, do feel free to leave me a comment in the box below.